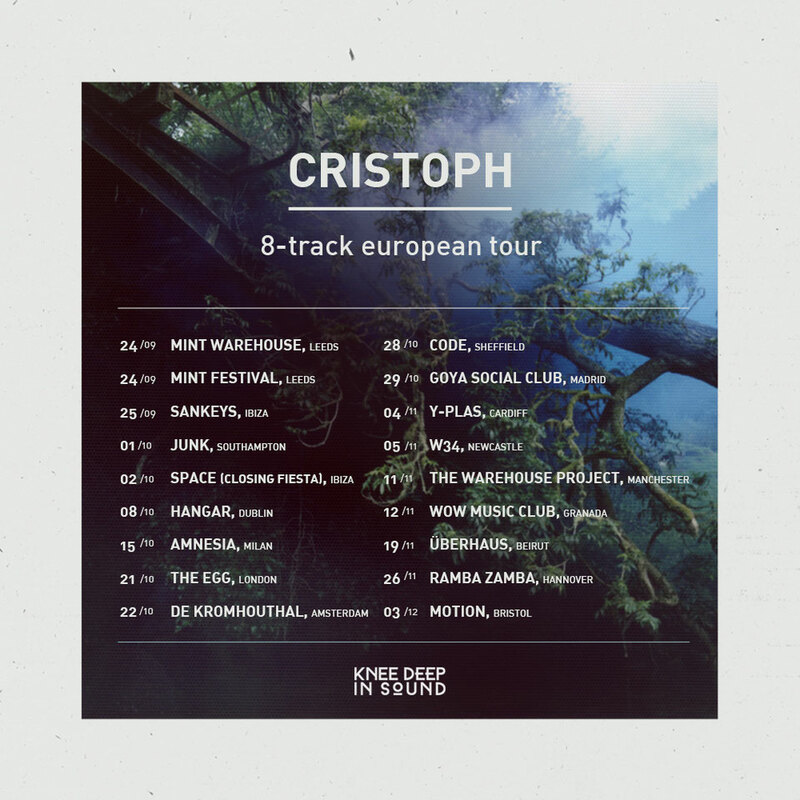 From Ibiza to Amsterdam, Manchester to Milan, DJ/producer Cristoph is currently on a European tour to accompany the release of his “8-track” album covering some of the continent’s key clubbing destinations and venues. The tour kicked off in label figurehead and Knee Deep in Sound mentor Hot Since 82’s hometown of Leeds at Mint Festival, on 24 September, with the run of shows taking the young producer to 10 countries and into the DJ booths of clubs such as Milan’s Amnesia and Goya Social Club Madrid as well as UK event series including Manchester’s The Warehouse Project, Newcastle’s Shindig and Motion in Bristol. Apparently no stranger to the international club circuit, festival scene and record crates of his peers, Cristoph is a producer and DJ fixated on integrity, with influence equal part Windy and Motor city. 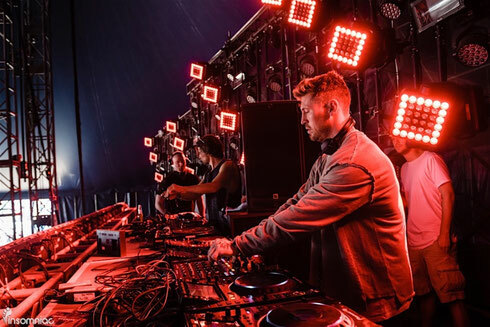 Having now carved out a sound that aims to blur the edges of genres; the focus on groove and mood, Cristoph’s international appearances have awarded him with invites including Space Ibiza’s monumental closing party that takes place tomorrow. The tour will also take in this year’s edition of Amsterdam Dance Event, at De Krouthmal on 22 October. “8-track” which is set to hit the shelves across multiple formats this month features eight new original pieces of music, mapped out as a pensive reflection of Cristoph’s career to date. Check it out below.